Starting at the top of the North Island in the inimitable Auckland, this 23-day self-drive journey sees you drive southwards encountering the stunning Bay of Islands, the cultural Rotorua and the impressive Lord of the Rings scenery of Wellington. Today you’ll pick up your hire car. Your car will be a compact car (Holden Barina or similar) but if you would prefer a more spacious car we can upgrade for you. From here you can spend some time exploring Auckland at your own pace. This huge city, by far New Zealand’s largest, is home to everything from vibrant shopping, quiet suburbs, fascinating museums and impressive art galleries. Make sure you visit the picturesque harbour, the Viaduct Basin and the Maritime Museum. Outside of the city centre you can visit West Auckland – a completely different experience. Here you’ll find rainforests, beaches and a superb range of wineries. On day three you’ll head north up to the legendarily beautiful Bay of Islands – the drive takes about three-and-a-half hours but schedule a little longer for a more relaxed drive. On the way you’ll pass through the bohemian Puhoi with its attractive church, artsy Warkworth, harbour-side Whangarei and the one-of-a-kind Kawakawa, one of the only places in the world where the public toilets are a muse-see! Finally you’ll reach the main town of the region, Paihia. Here there’s a lovely beach and truly wonderful scenery for you to enjoy. Today is a full day at leisure to explore this wonderful region of New Zealand. 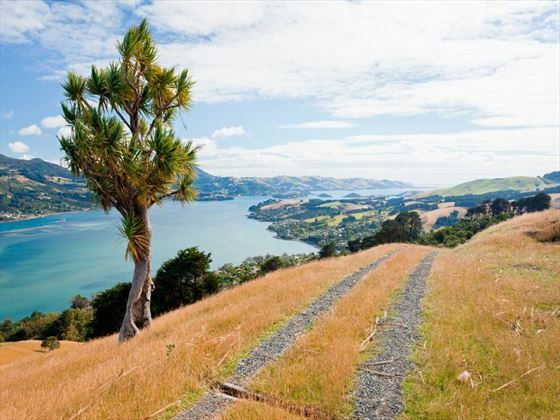 You could opt for a guided eco tour to see the bush, beaches and Maori culture. Alternatively, you could choose to take a cruise in the bay. Or if you’d prefer to travel at your own pace, how about a visit to the elegant Russell Township or historic Waitangi. 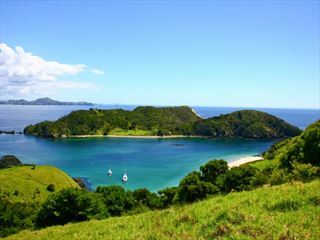 Today you’ll head west away from the Bay of Islands heading towards the wilder Tasman Sea. This route takes you through the townships of Omapere and Opononi – cute seaside places to stop for a relax and an ice cream. Afterwards you’ll visit Waipoua Forest where you can take a walk or two in the wilderness. You’ll then head on to Warkworth, stopping off at the Matakohe Kauri Museum along the way. Once you’ve arrived in Warkworth you can choose to continue on to see Tawharanui Marine Reserve or drive straight to Snells Beach for your overnight accommodation. Today you’ll drive back through Auckland heading in the direction of Rotorua. Travelling by the side of New Zealand’s longest river, the Waikato River, you’ll pass through Cambridge and Tairo before arriving in Rotorua. One of the unique features here is the steam from the geothermal activity, rising from the hills and the roadside. Arguably the centre of Maori culture in New Zealand you can get to know about the heritage and history of the country while you’re here. In the evening you can indulge in a traditional Maori dinner. 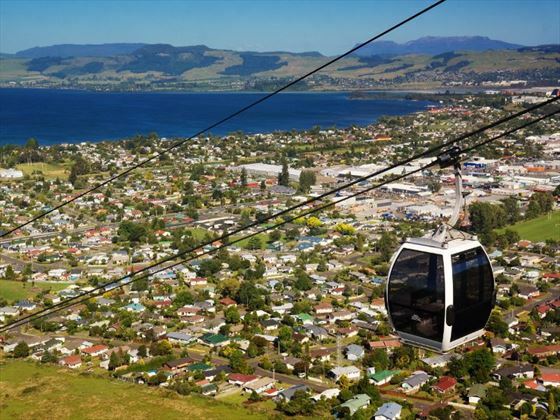 Today is your chance to explore Rotorua at a leisurely pace and also see a lot of the surrounding area. Add on a visit to Wai-O-Tapu Thermal Wonderland is based about 30 minutes from Rotorua and here you’ll find sulphur ponds, geysers, waterfalls and bubbling pools. The historic site of the Buried Village of Te Wairoa is worth visiting for the museum and the chance to look at the excavated buildings from before the eruption of Tarawera. You can also visit White Island off the coast of the Bay of Plenty. Today you’ll drive from Rotorua to Wellington, going via New Zealand’s largest lake, Lake Taupo. Visit the Huka Falls on the way too. 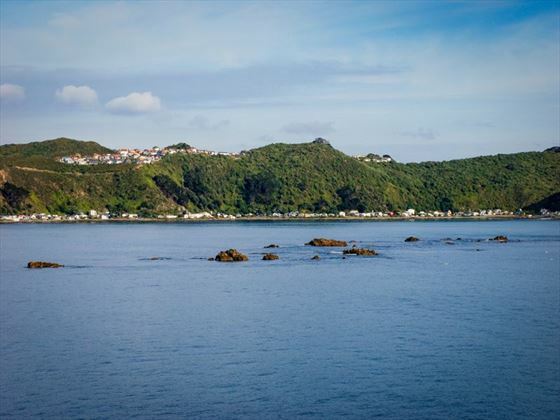 As you get closer to Wellington you’ll get the chance to enjoy more of the mountainous scenery including the symmetrical Mount Nguaruhoe, famous for its appearance as Mount Doom in the Lord of the Rings trilogy. Nearby you’ll find the town Waiouru and its Army Museum – well worth a visit. Then head south to the Kapiti Coast where you’ll find a number of pretty coastal towns including Paraparaumu, Paekakariki and Plimmerton. Finally you’ll arrive in Wellington, the capital of New Zealand. 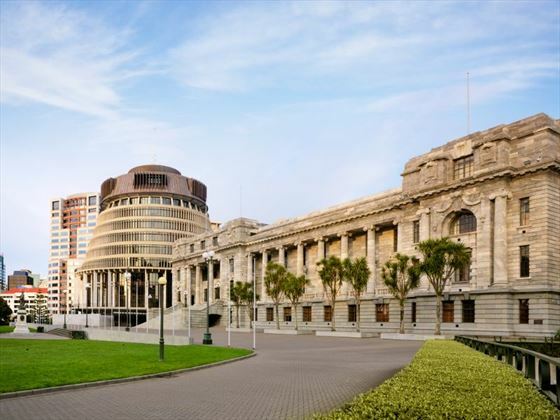 You can explore the city on foot taking in New Zealand’s National Museum and the cafes, restaurants and bars of Courtenay Place. On arrival you’ll pick up a new hire car and travel to Blenheim, which is at the centre of New Zealand’s most famous wine region. Definitely go on a wine tour and sample some of the amazing local produce. 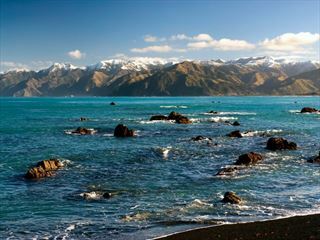 Today you’ll travel to the stunning mountainous region of Kaikoura, journeying along the wonderful coastline. Here you can go whale watching or experience swimming with seals. This is a fantastic place for nature lovers. Hug the coastline for the start of your drive today, then head inland through North Canterbury’s stunning wine region, the Waipara Valley. Expect to see hillsides brimming over with sheep and then detour to the Hanmer Springs for the chance to take a dip in the thermal pools. 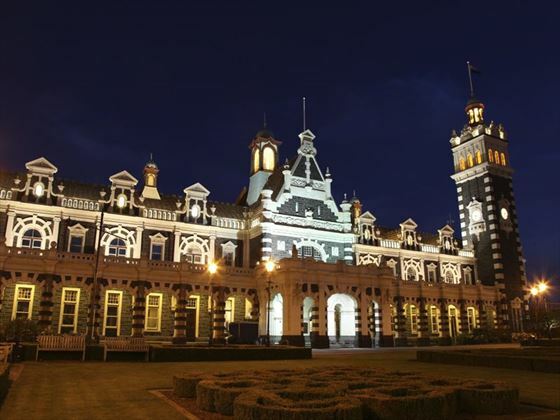 When you arrive in Christchurch you’ll check into your accommodation and can then spend the rest of the day exploring. Why not visit the International Antarctic Centre? Here you can understand a little more of what life is like on the world’s frozen continent. The small city centre of Christchurch doesn’t require a car – you can just walk or take a ride on the historic trams. Take a look at the shops, restaurants and bars for a real flavour of a modern New Zealand city. 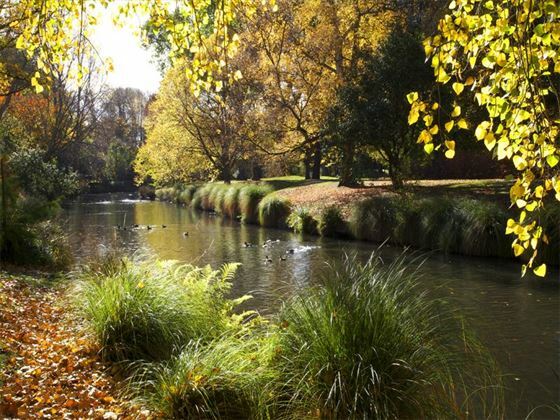 If you’d like to explore the surrounding area you could go on a Christchurch Wildlife Cruise. These cruises depart from Lyttelton and allow you the chance to see a number of amazing creatures off the coast. Today you’ll leave Christchurch and venture to the interior of the South Island for a visit to Mount Cook. Take in the majestic scenery of the mountains and the lakes, explore the village and choose from a huge range of activities. After more time today to explore the Lord of the Rings scenery around Mount Cook you’ll head off on the road to Dunedin, a charming city with a rich Scottish heritage. You’ll then rest and stay here overnight. On day 15 you can explore the city, taking in the famously beautiful Railway Station and visiting the only mainland Royal Albatross breeding colony in the world. You can also explore the rest of the Otago peninsular for stunning scenery and New Zealand’s only castle, Larnach Castle. Today you’ll travel through farmland scenery and coastal fishing towns before reaching Te Anau, the gateway to Fiordland National Park. Once here you can spend the evening relaxing. 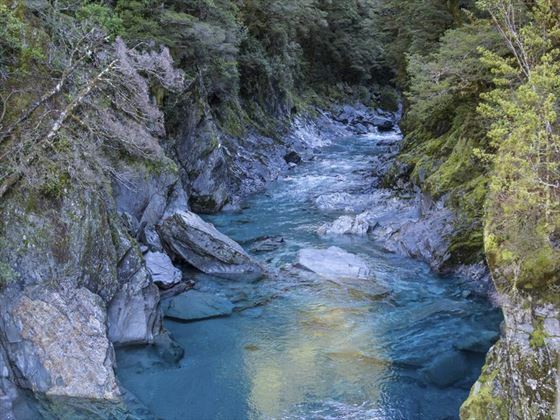 Today you’ll take the short drive into Fiordland National Park, and search out Milford Sound where you’ll see a wonderful range of sceneries from mountains and lakes to forests and glaciers. 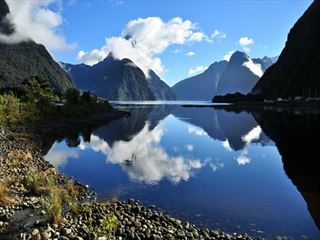 You can then take the Milford Sound Nature Cruise, cutting through the fiords in search of dolphins, seals and penguins. On day 18 you’ll cross through Mossburn, famous for its large population of deer. Once again the drive will be very scenic with Lake Wakatipu and mountain ranges for your backdrop. 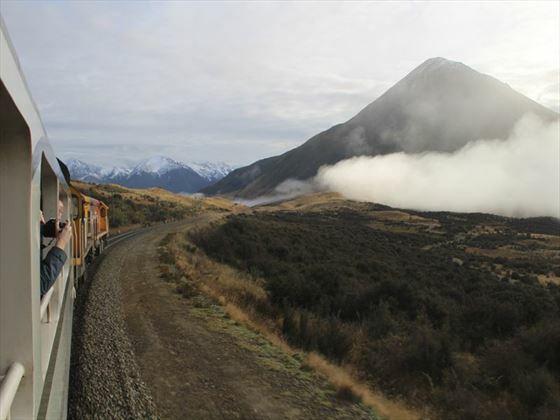 Stop off for a short trip to Kingston where you’ll see the classic steam train, the Kingston Flyer, before heading on to Queenstown where you’ll spend the night. Today is a full day to spend in Queenstown, the Adventure Capital of the World. Famous for its adrenalin-fuelled sports like bungee jumping and skydiving, Queenstown is perfect for thrill seekers. It sits directly on the shores of Lake Wakatipu meaning you can also find water-skiing, jet skiing and other watersports on offer. Just a short drive away is Gibbston Valley with a number of superb vineyards – worth visiting if you enjoy a drink. Alternatively you can head to Arrowtown, a former gold mining town with classic architecture and some excellent shops. You can even go on a Nomad Safari four-wheel-drive expedition into interesting locations including Mace Town and Skippers Canyon. 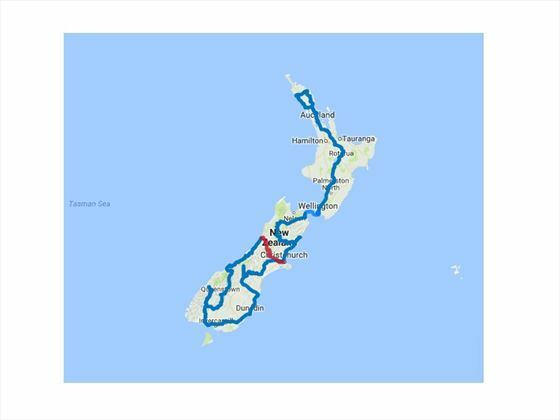 On day 20 you’ll cross the Crown Range, the highest sealed road in New Zealand, and then carry on to Wanaka. Here you’ll be treated to lake views before entering Mount Aspiring National Park. You’ll stop off here for a 30-minute walk in the forest. You’ll then head onwards to the Fox Glacier before finally reaching Franz Josef Township. On day 21 you’ll get the chance to visit Franz Josef Glacier itself and you’ll get the opportunity to take guided walks choosing from a range of options to suit your schedule. Another option is to take a helicopter flight over the glacier followed by a hike. Today you’ll drive to Greymouth where you’ll drop your car off. From here you’ll catch the Tranz Alpine Scenic Train to Christchurch. You’ll see all the best of New Zealand’s scenery. On arrival in Christchurch you’ll be transferred to your accommodation. Transfer to the Christchurch airport for your flight home. 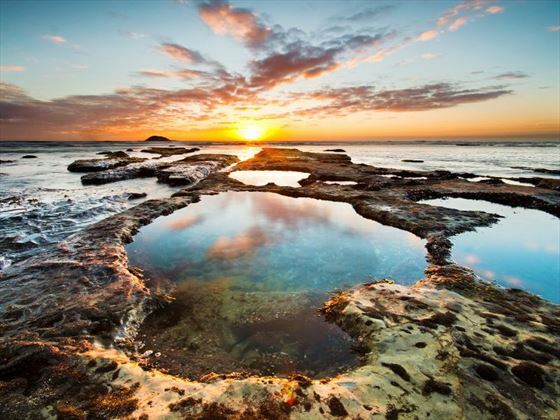 This itinerary includes motel accommodation - if you wish to do a similar tour with upgraded accommodation in 4* hotels or luxury and boutique lodges with breakfast included please request this with your travel consultant and they can arrange it for you. 2 for 1 Excursions Book by 31 May and save up to $500 with two for the price of one on excursions including wine tours, city tour, gondola ride and a Maori cultural show. See "Optional Excursions" below for details. Date restrictions apply.